Bush: Abuse Was 'Stain' On U.S. 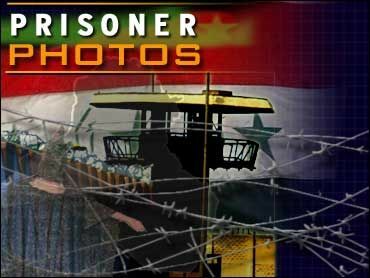 The abuse of Iraqi prisoners by American military guards is "a stain on our country's honor and reputation" but will not deter America's mission to bring democracy to Iraq, President Bush vowed Saturday. In Iraq, the new head of U.S.-run prisons in Iraq, Maj. Gen. Geoffrey Miller, said everything is being done to prevent a repeat of the prisoner abuse. According to the Army's recently declassified report on inmate abuse, reports CBS News Correspondent Jim Acosta, Miller visited the prison last fall, and recommended its guard force be trained to set "the conditions for the successful exploitation of internees." The general Saturday denied that he meant guards should rough up prisoners. "I would absolutely and categorically disagree with that," he said. In his latest condemnation of the U.S. abuse of Iraqi prisoners, the president called it shameful, shocking and disgraceful. "Such practices do not reflect our values. They are a stain on our country's honor and reputation," Mr. Bush said. His words were echoed by the U.S. administrator in Iraq, L. Paul Bremer. "We should not condemn all soldiers," he told Iraqi leaders. "I have traveled all over and seen the good work by U.S. soldiers and that is the true spirit of America." In his weekly radio address, the president again said those involved in the abuse will be answer for their actions, but, reports CBS News White House Correspondent Mark Knoller, he was quick to add that the incidents represent the actions of a few and, in his words, "our people in uniform are the best of America." Mr. Bush made no mention of Defense Secretary Donald Rumsfeld. He has rejected the calls for Rumsfeld's resignation, saying Thursday that Rumsfeld would keep his job. "Our mission in Iraq will continue," President Bush declared. "We have no intention of leaving the nation at the mercy of thugs and murderers. We're determined to help build a free and stable Iraq, a nation at peace with its neighbors and with the world." The Democrats used their weekly radio speech, and the international uproar over the Iraq prison abuse pictures, to criticize the administration's Iraq policy in general, reports CBS News Correspondent Tom Foty. They chose former NATO commander and recent presidential hopeful Wesley Clark to deliver their response. "This is a mission in trouble," the retired general said. "The truth is President Bush has made mistake after mistake as commander in chief." Clark praised the president for saying he's sorry about the prison, "but apologies are not enough." In Iraq, Miller promised no more problems. "I will tell you that everything that goes on in Abu Ghraib today is in accordance with our procedures and policies, and is in compliance with the covenants of the Geneva convention," he told reporters. Mr. Bush indicated that punishment arising from the prison incident will go beyond the seven members of the Army Reserve's 372nd Military Police Company already charged by the military. "We will learn all the facts and determine the full extent of these abuses," said Mr. Bush. "Those involved will be identified. They will answer for their actions." He said all prison operations in Iraq will be reviewed "to make certain that similar disgraceful incidents are never repeated." As a symbolic gesture, said Clark, the notorious 280-acre Abu Ghraib prison should be dismantled. It is Iraq's most visible symbol of brutality under Saddam Hussein where his henchmen tortured and killed inmates opposed to the regime. Asked about closing down Abu Ghraib prison in Baghdad, Miller would only say interrogations will continue there until ordered moved elsewhere, CBS News Correspondent Cami McCormick reports. Rumsfeld offered "my deepest apology" Friday to Iraqi prisoners abused by sadistic military personnel and warned that videos and photos yet to come could further inflame worldwide outrage. "It's going to get a good deal more terrible, I'm afraid," he said glumly in congressional testimony televised throughout the Arab world as well as in the United States. So far, no videos of abusive treatment have reached the public. But still photographs, first aired last week on have spawned a worldwide wave of revulsion that has damaged America's image overseas and sparked a political storm at home. "I'm seeking a way to provide appropriate compensation to those detainees who suffered such grievous and brutal abuse and cruelty at the hands of a few members of the United States armed forces," Rumsfeld told Congress Friday. Supporters of compensation argue it could help repair relationships with angry Iraqis, reports CBS News Correspondent Sharyn Alfonsi , but critics say don't count on it. And compensating the abused prisoners could raise other questions. The U.S. has never compensated enemy soldiers, says CBS News International Law Consultant Pamela Falk, and doing so now could open Pandora's Box. "All of a sudden a floodgate of law suits could begin where U.S. soldiers are claiming torture or injury by foreign governments and foreign governments have a floodgate of lawsuits against the United States," she said. That was the argument the Justice Department made to block a group of American POWs beaten, starved and tortured during the 1991 Gulf War. Eventually, the ex-prisoners won their suit against the government of Iraq anyway. One of the plaintiffs, former Marine pilot Cliff Acree, told CBS News that while he thinks the abused Iraqis should be compensated, he is outraged that American POW's have been overlooked. "There is no reparation to us but in less than a week our country responds and tries to make reparations available to Iraqi detainees," he said. "It makes no sense. There is a double standard there."